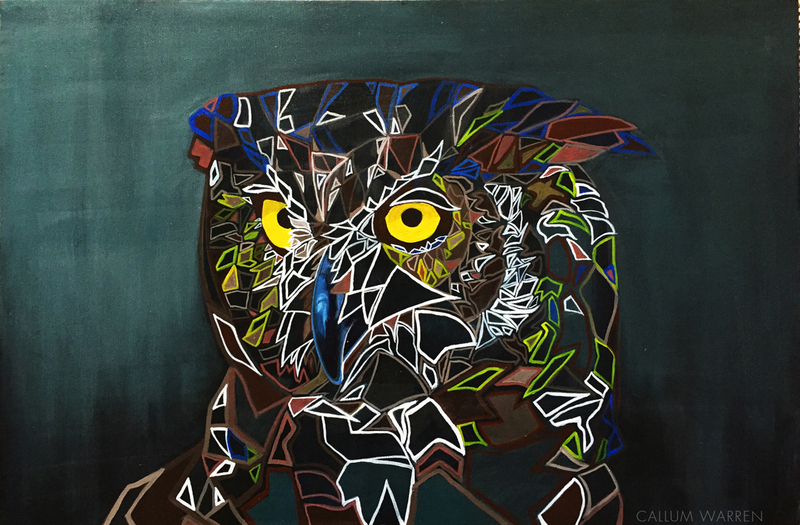 The abstract owl I have been working on is now done! Had a lot of fun working on this one something different for me. Acrylic paint on canvas. Really original! I could see this as cool new album cover.